Title deed, Farr property, February 10, 1959. 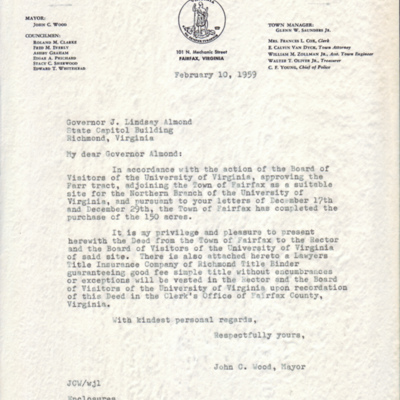 Copy of original title deed to the Farr tract, upon which the Fairfax Campus of George Mason College was built in 1964. Deed is dated February 10, 1959. 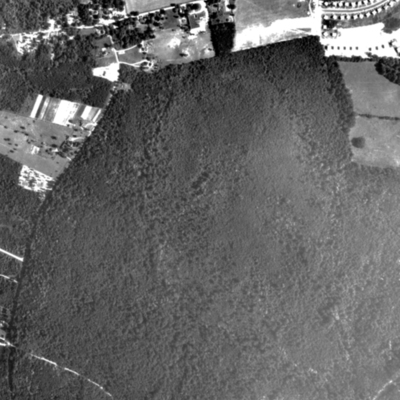 This copy is derived from a printout from a 35 mm a negative microfilm of the original. 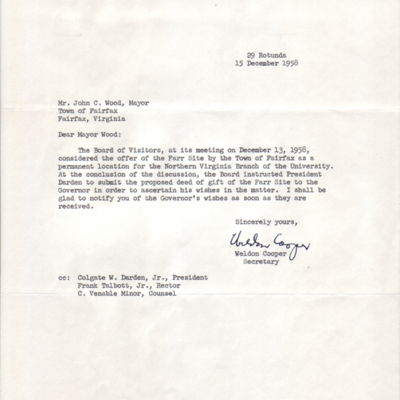 Weldon Cooper to John C. Wood, December 15, 1958.
Colgate W. Darden, Jr. to John C. Wood, June 27, 1958. 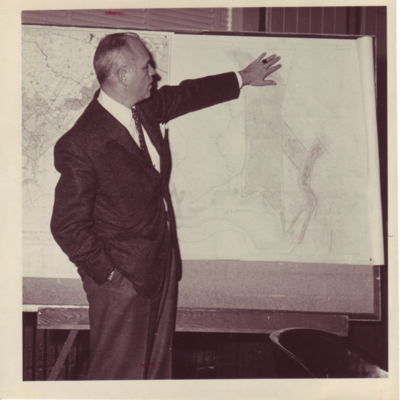 John C. Wood to Colgate W. Darden, Jr., June 25, 1958. 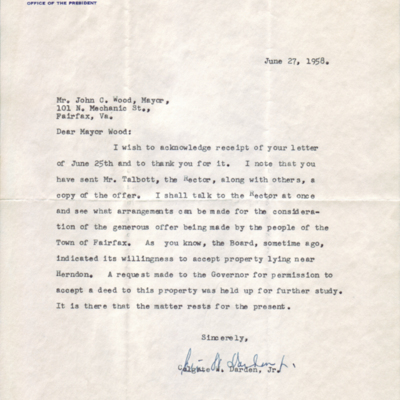 John C. Wood to J. Lindsay Almond, Jr., June 17, 1958. 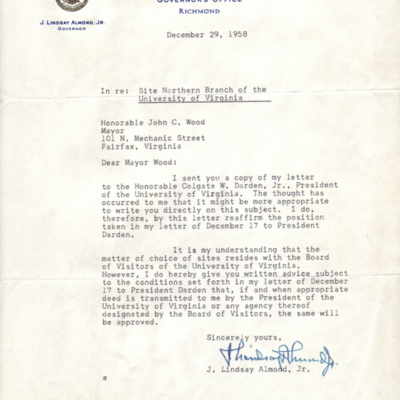 John C. Wood to C. Harrison Mann, Jr., January 21, 1958.